Ralph Allen, my 7th great grandfather (1621 - 1691), the son of George Allen and his first wife, is believed to have been born in about 1615 in England. Although it has not been determined when he arrived in the Massachusetts Bay Colony, it is known that he did not travel on the same ship as his father, George. 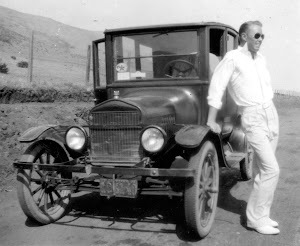 This Ralph, who is known to have held lands at Waymouth that originally belonged to his father, George, later moved to Rehoboth in what is now Bristol County, Massachusetts. He eventually settled at Sandwich in the New Plymouth Colony of Massachusetts, however, where his father lived. According to available records, Ralph was generally referred to as a planter and wheelwright, and in certain documents he was also referred to as Ralph Allen, Sr.,such as the burial record of his daughter, Mary, in 1675. This was apparently to distinguish him from the other Ralph Allen who resided at Sandwich, was married to a woman named Esther Swift, and was a mason by trade. Although Ralph is thought to have been married sometime around 1630-1635, it is not known at this time whether he married in England, or after he arrived in the Massachusetts Bay Colony. Our Ralph is believed to have been married to a woman named Susannah. In 1657, while residing at Sandwich, Quakerism began spreading throughout the Colony, and Ralph and six of his brothers and sisters were apparently among the first to be "convinced." 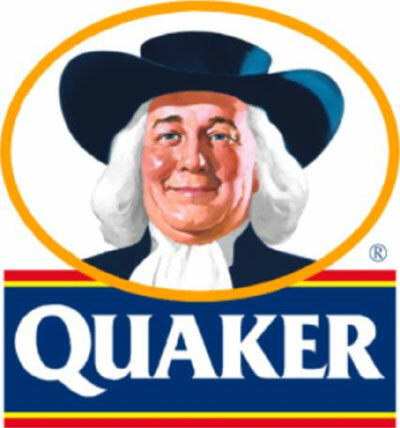 Unfortunately, the adoption of Quakerism by the Allen’s resulted in their being persecuted and fined for many years for practicing their faith. Their persecution was particularly acute for refusing to take the Oath of Fidelity which they felt was unlawful. During the years 1663 and 1664, Ralph purchased land at Dartmouth in the New Plymouth Colony (now within Bristol County, Massachusetts), which he later conveyed to his children. Even though he was living at Sandwich at the time of his death, it is believed that he and Susannah probably resided at Dartmouth for a few years. Ralph is mentioned in several deeds as being "of Dartmouth," and in 1684 he was involved in an agreement with three others to build a gristmill there.Ralph Allen was purported to have died during the month of March 1698 at Sandwich in what had then become Barnstable County, Massachusetts. His will, which had been written on 18 December 1691, was probated before the Barnstable County Court on 1 July 1698. Ralph was subsequently buried, as directed by his will, "in the Friends Burying place at William Allen's in Sandwich. "With the exception of Philip, Benjamin, and Mary, the following children were named in Ralph’s will. Philip and Benjamin, identified in the records as being sons of Ralph Allen, died in the Colony of Rhode Island and Providence Plantations. 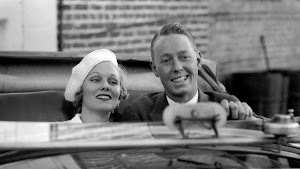 Mary, on the other hand, died at Sandwich and was also identified as being the daughter of Ralph Allen. All three of these children died prior to Ralph writing his will. The exact order of birth of the below listed children is not known. Issue: (Surname Allen)26. John ------------ b. in MA.m. Rebecca ( ) in MA.d. 1706 at Sandwich, Barnstable Co., MA.27. Benjamin ------ b. in MA.d. 1669 at Portsmouth, Colony of Rhode Island and Providence Plantations. (now within Newport Co., RI.)bur. 27 February 1669 at Newport, Colony of Rhode Island and Providence Plantations. (now within Newport Co., RI.)28. Philip ----------- b. in MA..d. 13 July 1671 at Portsmouth, Colony of Rhode Island and Providence Plantations. (now within Newport Co., RI. )* 29. Joseph -------- b. ca. 1642 in MA.m. (1) 1 July 1662 to Sarah Holloway(Holway) in New Plymouth Colony, MA.m. (2) 1680 to Sarah (Hull) Ridley in New Plymouth Colony, MA. (widow of Mark Ridley)d. 1704 at Shrewsbury, Monmouth Co., NJ.30. Patience ------ b. calc. 1645 in New Plymouth Colony, MA.m. 10 June 1680 to Richard Evans at Newport, Colony of Rhode Island and Providence Plantations. (now within Newport Co., RI.)d. 4 December 1711 at Newport, Rhode Island Co., RI. (now within Newport Co., RI.)31. Increase ------- b. in New Plymouth Colony, MA.m. Rachel ( ) in MA.d. 7 March 1723/1724 at Dartmouth, Bristol Co., MA.32. Ebenezer ----- b. 10 February 1649/1650 at Sandwich, New Plymouth Colony,MA. (now within Barnstable Co., MA.)m. ca. 1681 to Abigail ( ) in MA.d. 1725 in Bristol Co., MA.33. Zachariah ----- b. at Sandwich, New Plymouth Colony, MA. (now within Barnstable Co., MA.)34. Mary ----------- b. at Sandwich, New Plymouth Colony, MA. (now within Barnstable Co., MA.)bur. 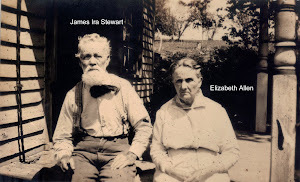 18 April 1675 at Sandwich, Barnstable Co.
James Ira Stewart at Gettysberg?